Following our first Grey Eagle post of the year, it’s only fair that we show a Beyond meet as well! 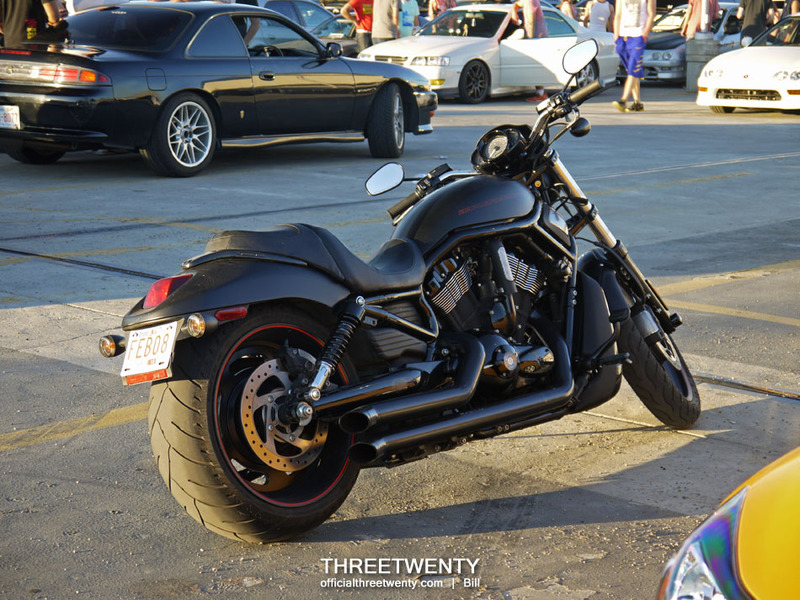 This time it’s last week’s meet, which was on what seemed to be the hottest night of the year – we had to hide in the shade at Grey Eagle because it was too much to take. Fortunately by the time we switched over to Beyond it had cooled down a bit. 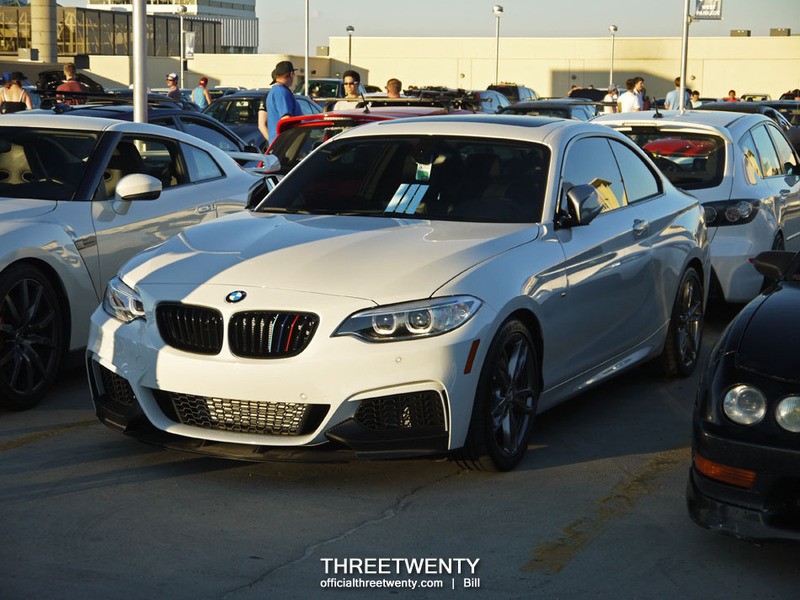 I spotted this new 2 series at both meets and had to take a closer look. While I’m personally not a fan of BMW moving to so many separate models and numbers, there’s no denying the new generations all look great. Note the M colours on the grille. Jonathan’s 3 series is sporting some yellow headlights now, wrapped with material from MacKenCo. Thanks for the support! 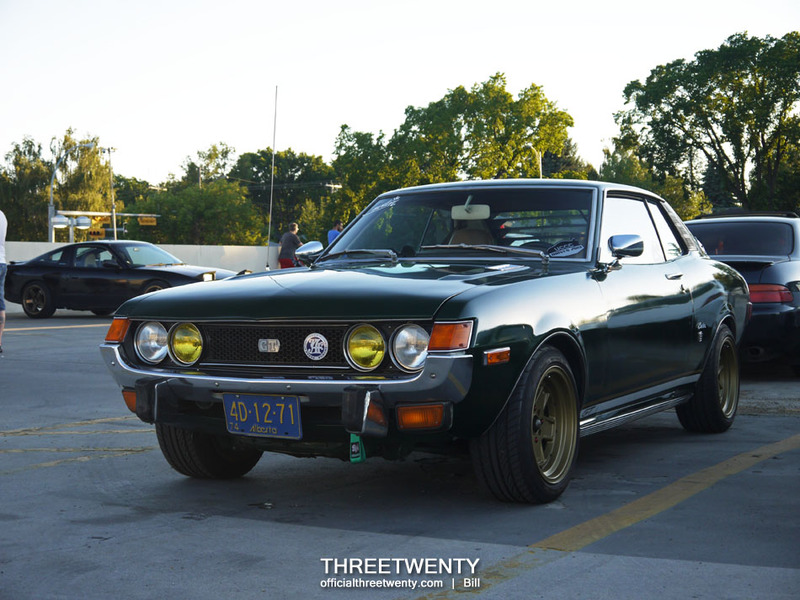 Our own Kyle Hugo brought out his Celica for its first meet of the year, now sitting lower on new coilovers up front, and also showing off its Speedhunters x Takata tow strap. It seems like airbags have become more common (relatively speaking) in Calgary in the past couple of seasons. Punit’s GS is one example of an air-equipped car, ditching the previously fitted coilovers for something that can provide even more low. Off to the side were Errol’s Amuse S2000 and Jackie’s turbo NSX, along with Corey’s S2000 and Gopesh’s GTI. Along with airbags becoming more popular, 2014 seems to be the year of the S2000 with a handful of people having picked them up as new projects. There may be more than usual shown in meet coverage this year. To close out the quick post today, here’s one more of the Amuse S2000, because….well, because Amuse S2000. The meets are still held atop the Chinook parkade and are open to anything on wheels. As always, please be respectful and don’t stunt because we’re fortunate that Chinook allows us to meet there and we don’t want to lose the space.